What does the first scene of the novel reveal about Betsey’s character? 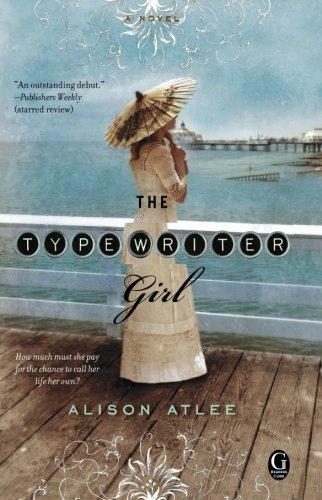 How do her actions and attitude set her apart from the other typewriter girls? In what ways is she unconventional for a woman in the 1890s? During her last night with Avery, Betsey wonders if “she wanted the wrong thing, this job that could end with the turn of a season, this life in a place she’d never seen” (page 23). Why is she eager to leave London and take the position as excursions manager in Idensea? If she hadn’t accepted the position, what might her future have held? What does John Jones see in Betsey that inspires his confidence in her? What does his interest in Betsey reveal about his own character? Why does he continue to support her after her inauspicious arrival? Lillian believes that she has her suitors in hand and that she’s on schedule to be married. What makes her so confident? How does she mishandle her relationships with John and Noel Dunning? What proves to be her undoing? What does John mean when he says that Betsey is not for him? What do Betsey and Lillian each represent to him? What are John’s ambitions and what does he see as the steps to realize them? What do John’s reminiscences of his family reveal about him? Why is he keen to bring his brother, Owen, to live with him? Each chapter opens with a quote from How to Become Expert in Type-writing. How did these quotes shape your reading? Why does John take Betsey to the Sultan’s Road the night of Lillian’s musicale? How does Betsey feel when she realizes what he wants from her? Why doesn’t she yield to him? Betsey’s sexual freedom is unusual for her time, a time when “in all the ways a man could meet ruin, there was one way in which he could not, one especial way reserved only for woman” (page 184). What motivates Betsey to live as freely as she does? Why is it so essential that she “choose”? Why is she intent on remaining unmarried? How would you describe Betsey’s general attitude toward men? What events have shaped it? In what instances does her independent streak inspire admiration or condemnation from the men she works with? What natural talents does Betsey use to her advantage to make the excursions scheme successful and to win the respect of her employers? What does she learn from John and Mr. Seiler about business and managing the board of directors? What sort of man is Sir Alton? What does his treatment of Betsey reveal about his prejudices? In what ways does he undermine John, despite admiring and relying upon him? When Betsey says she “wanted only to be safe and not owe anyone anything” (page 192), do you believe she’s being honest with herself? How do her plans for the excursion scheme prove otherwise? The night after the fire, when John tells Betsey he wants to marry her, why does she refuse? Why does she tell him that she doesn’t trust him?